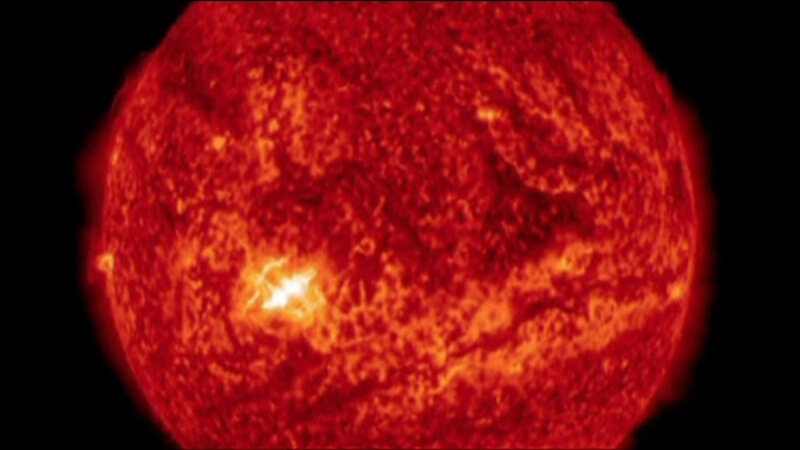 WASHINGTON (WLS) -- NASA says the sun unleashed its first significant solar flare of the year this week. The Solar Dynamics Observatory captured an image of the flare on Wednesday. Solar flares do have the potential of disturbing GPS and other forms of communications, but they can't pass through the earth's atmosphere to harm people.